Every year in January, volunteers and specialists all over the world participate in the annual mid-winter waterbird census. The action is coordinated by Wetlands International and this year it reached it’s 52nd anniversary. Up to today, the census has counted 1.5 billion waterbirds in 50,000 sites in about 180 countries. In Romania, it is being organised by the Romanian Ornithological Society/BirdLife Romania in partnership with the “Milvus Group” Association. This year, in Romania, the mid-winter bird census highlights some rare, sporadic and interesting observations. 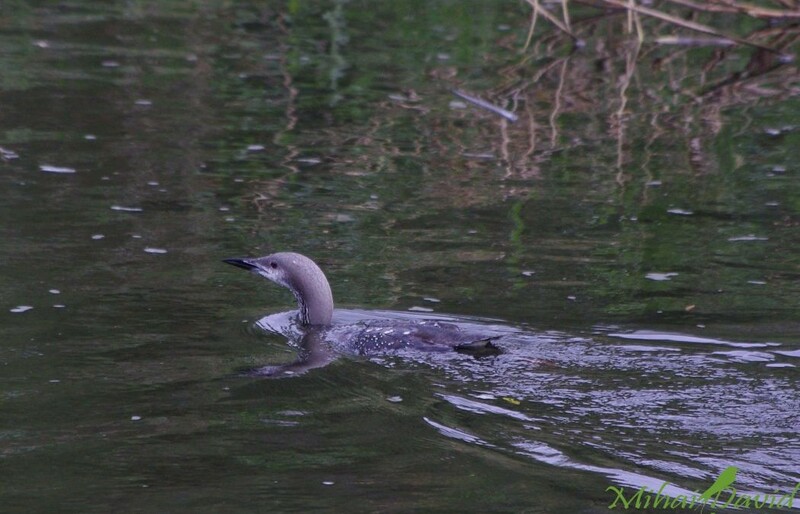 The yellow-billed loon (Gavia adamsii) was definitely was the biggest surprise this year. This is an Arctic species wintering on sheltered coastal waters of the northwestern coast of Norway. Although it primarily winters to the north of 50° N, its winter range sometimes extends south to 35° N , and it has been recorded as a vagrant in more than 20 countries, including some as far south as Spain. The dalmatian pelican (Pelecanus crispus)was one of the protected species observed in pretty high numbers. And it’s relative, the common pelican has been observed on the Olt River – a pretty rare sight for winter time. Other rare observations include: lesser white-fronted goose (Anser erythropus), Slavonian grebe (Podiceps auritus), velvet scoter (Melanitta fusca), the herring gull (Larus argentatus), horned lark (Eremophila alpestris) and common redpoll (Acanthis flammea). The desert wheatear (Oenanthe deserti), a new recording for the romanian birdlife, first observed in our country in december last year, spent the winter in the same location and was seen again in January. Over 295.000 birds have been counted in this mid winter census belonging to 151 species out of which 73 species were the target wetland species.